The crawler pads are custom made for me by Paul Dirkzwager. Each crawler needs about 50 pads. 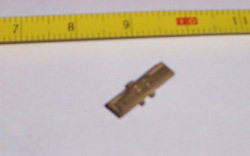 Track width is 13 mm (0.00512"). 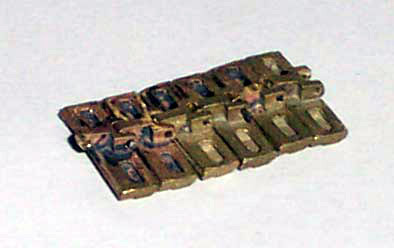 The separate pads are linked together with 0.5 mm (0.00020") brass wire.